Got some concerts pencilled into your diary for the new season? Let these shorts give you the killer look you've been searching for. 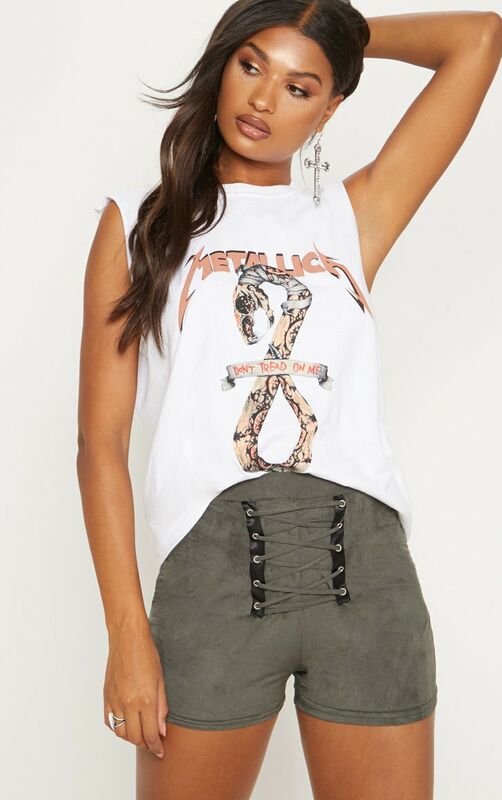 Featuring a khaki faux suede fabric with a lace up front design, team with a slogan vest and some cross pendant earrings for a look that will give you confidence.